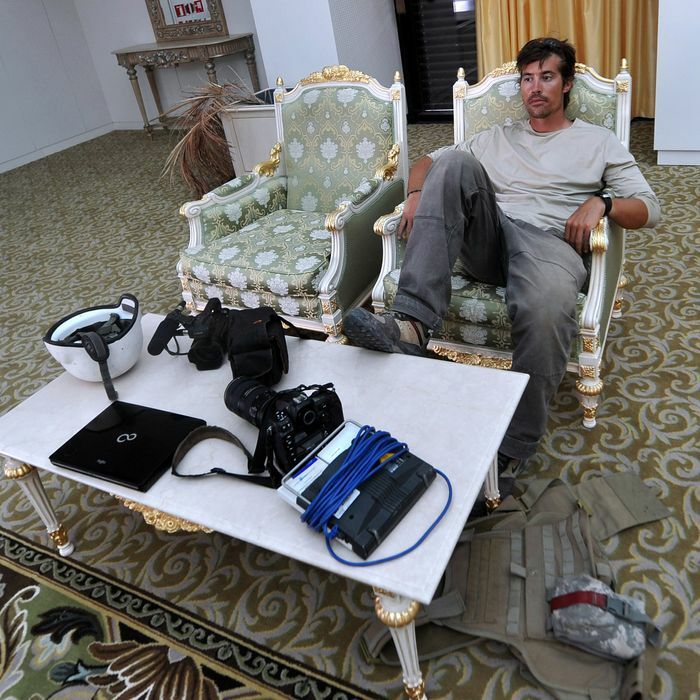 Before Jim Foley’s beheading video surfaced on Tuesday, there hadn’t been a similar one — of a Westerner, beheaded by Muslim extremist groups with the intent to change government policy — in nearly a decade. Many compared his death to that of Wall Street Journal reporter Daniel Pearl in 2002*, because after a spate of such videos in the early aughts, they had all but disappeared. But their absence from the terrorsphere was not an accident, nor a gesture of goodwill. According to University of Massachusetts, Lowell, professor Mia Bloom, the videos faded because they were frowned upon by higher-ups in organizations like Al Qaeda. Although Abu Musab al-Zarqawi, a high-ranking Al Qaeda in Iraq operative, was said to have personally executed Americans Nicholas Berg and Eugene Armstrong, Bloom says superiors, including Osama bin Laden and Ayman al-Zawahiri, looked down on the practice. “AQI got into a lot of trouble for those public beheadings,” she says, because they did more to alienate potential supporters than to recruit them. Indeed, in the recruitment video starring Canadian Jihadi Andre Poulin, the man boasts about an easy life in the Caliphate, and how those who want to come fight will have their families taken care of. For her part, Bloom attributes the return of gruesome videos to the plethora of jihadist groups currently vying for the minds of disaffected Muslims. “The more groups you have competing for everyone’s attention and loyalties, the more dangerous things tend to become,” she says. They engage in a technique she calls “outbidding,” where each tries to show how radical they are in comparison to all the others. Unfortunately, this may also mean there are incentives for more beheadings. *This post originally stated that Daniel Pearl died in 2004, and has been corrected.